My favorite answer is "You just did." One of the hardest steps is now done. Realizing that you need to plan and you need to prepare is one thing, acting on that knowledge is identical different. After some laughs and backslapping the person usually gets a serious look on their face and says "No seriously, where do I start?" What would you need if you had to evacuate your home right NOW? Would anyone in your family require special care? Do you have pets, and what would happen to them? This exercise should show you that the decisions that need to be made when evicting your home are not necessarily the kind of thing you should do at the last second, or while in the process of fleeing. This is my simplified Bug Out Bag, minus the water bottles and duct tape. You will notice I have included binoculars, a knife and multi-tool set from Kobalt. I have also included some other standards that I keep in my Bug Out Bag; hand sanitizer, hydrogen peroxide, krazy glue, sandwich bags and guides to First Aid and Knot tying from the Boy Scouts of America. Also included is a CO2 varmint pistol and camp knife. There are MANY more things people put in Bug Out Bags, but this list should get you started. Remember, this bag should be geared out to be helpful in as many situations as possible, but not so heavy you can not lug it for medium to long distances. Once your prepping skills improve you can start working on gearing out a true 72 hour bag. Where would you go if your house burned down? Talking to family or friends ahead of time about staying with them in case of an emergency might make things easier. Hotels are fun to stay in but they can get expensive, they are awfully cramped, and you would not want to be there for long. How would you get there is not such a big deal in the case of a house fire, but what if you were in a flash flood and the Emergency Broadcast was going across the TV? Not knowing which routes away from your home are less likely to flood could be a very big mistake. You would not have time to sit down and map your route most likely, so you would have to have done this ahead of time. 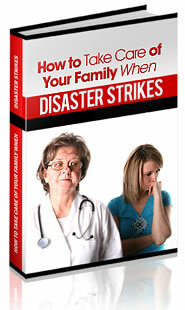 Special needs issues with family members can be very difficult to deal with in an emergency. Depending on the type of special needs this could mean transport issues, medical issues, environment issues or any other number of things. Only you and your family can fully grasp what you will need to plan for in this regard. Suffice it to say that great preparation should make this much easier. Pets can also present issues when evicting or "Bugging Out". This would also touch on the "where would you go" section because your pet needs to be part of that decision making process. Obviously in some circumstances you can plan to leave the pet in your vehicle for the night, but that is not always the case. You also need to plan for the pet's dietary needs, sanitary needs and emotional needs. Now that you have multiple sheets of paper covered with notes and bullet points and exclamation points you can sit back and review your work. You should now know what some of your first purchases will look like, which family or friends you will be talking to and how you will be taking care of Fido, to name a few things. Lastly I like to talk to my new prepper friend about community, strength in numbers and caring for those less fortunate than ourselves. All a person has to do is turn on the television and watch the news about the latest natural disaster to understand that prepping is not just about your own survival, it's about ensuring that those around you survive as well. Whether you teach someone how to start prepping, or you share your stocks with someone in need, using your skills as a prepper can save lives. The most important thing about Day 1 is that you understand just how important the decisions you are making will be to yourself, your family and those that will benefit from your choices. Hope for the best, prepare for the worst.